Please Note: This item has been retired. Limited pieces remain. This tiny little chef has a Christmas pie just ready to be eaten. 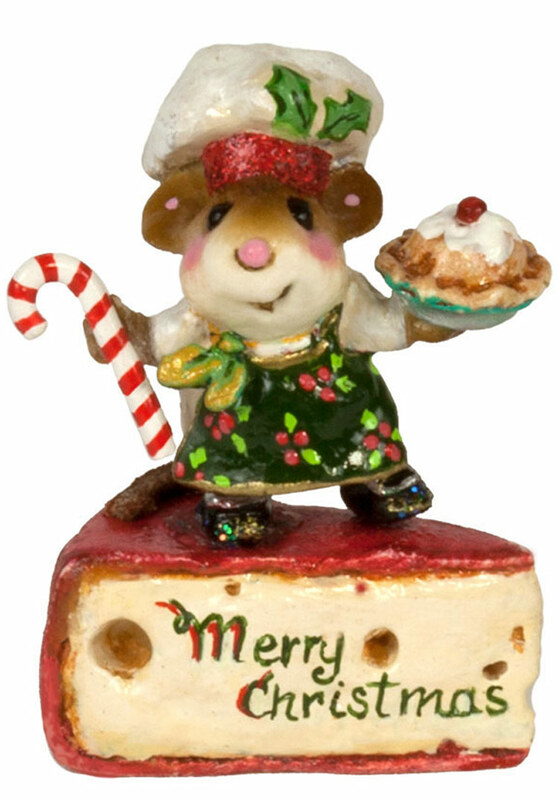 He balances up on a wedge of cheese bringing holiday cheer. In French, "Joyeux Noel" means "Merry Christmas"! 1.375 inches tall x 1 inch wide. Sculpted by Donna Petersen.